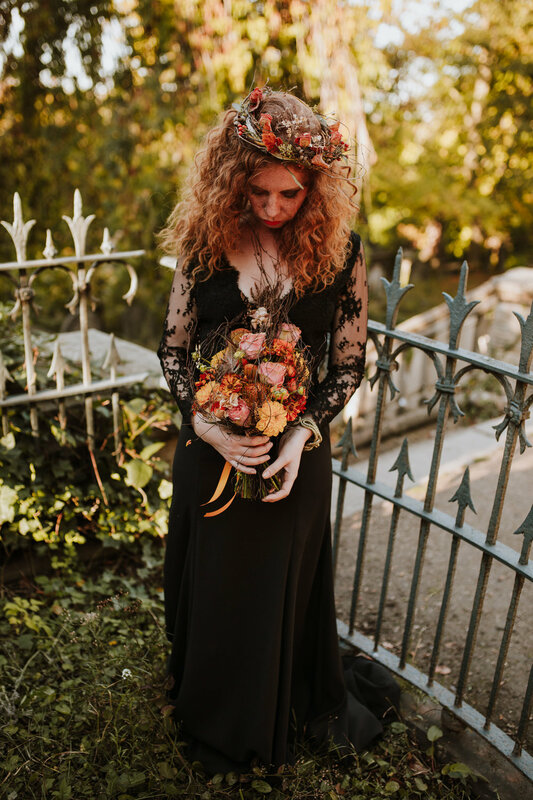 The beautiful autumn sunshine was our greatest asset for this photo shoot at the Sheffield General Cemetery, and it complimented our vibrant autumn collaboration perfectly. 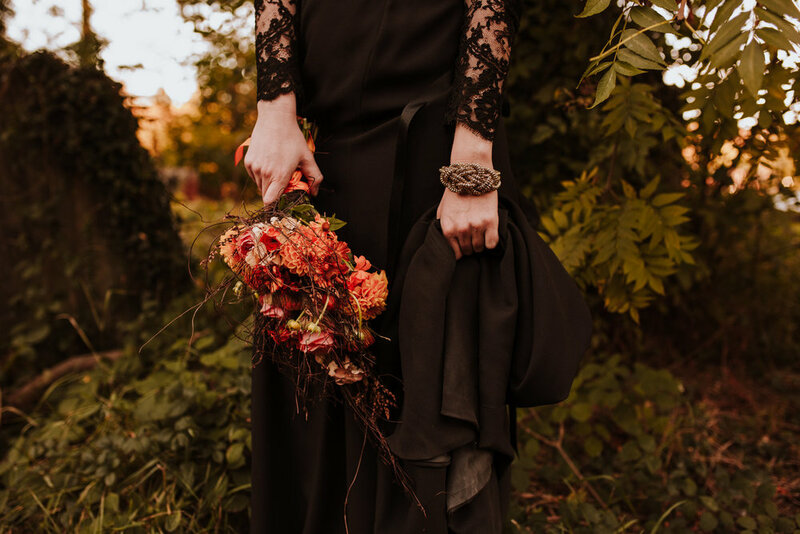 The beautiful setting of the Samuel Worth Chapel also lent an ethereal and Gothic vibe to this photo shoot, and provided the perfect venue for an Autumn wedding. Images by In Still Motion Photography. 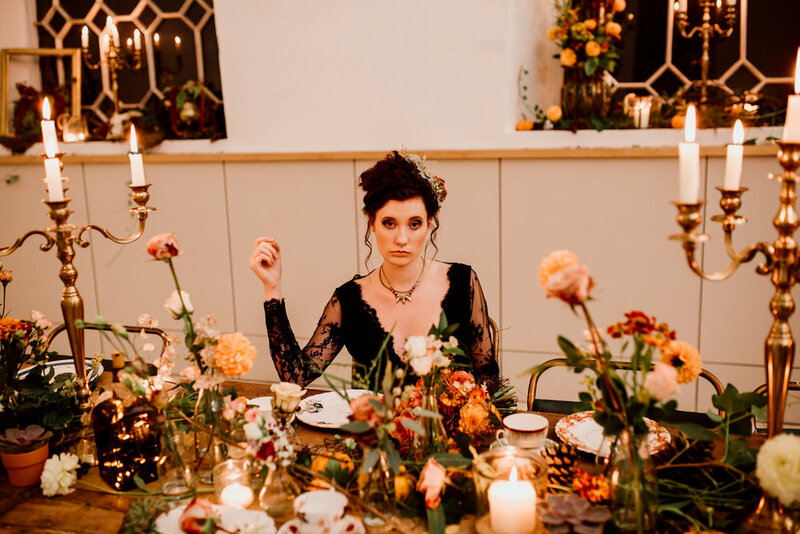 Special thanks to the Sheffield General Cemetery Trust, Jen Edwards and Company for Hair and Make-up, Inner City Weddings, KMR Bridal and Emma Larsson-Revitt.